Despite taking a 2-0 lead in the first half through goals from Ever Banega and Sergio Aguero, the Super Eagles rallied back to win 4-2 with goals from Kelechi Iheanacho, Bryan Idowu and Alex Iwobi (brace). 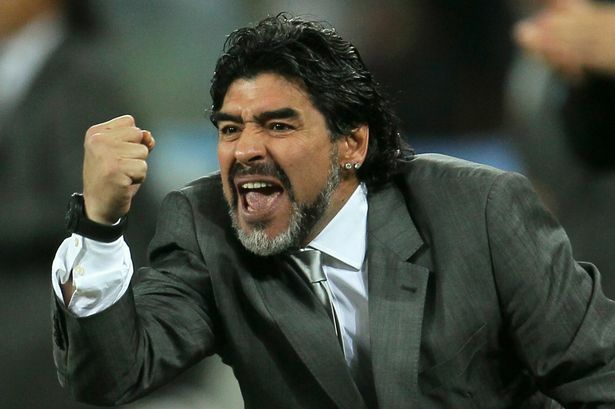 According to espn.com, Maradona, who led his country to World Cup glory in 1986 and also led them as coach to the 2010 World Cup, published a comparative table on his Instagram account showing that his period as a coach of the team had the highest efficiency among all the managers that led Argentina since the 1970s. It would be recalled that Maradona was in charge when Argentina pipped Nigeria 1-0 in the group stage of the 2010 World Cup in South Africa. He was also in action when Argentina came from a goal down to beat Nigeria 2-1 in the group stage of the USA 1994 World Cup, having a hand in two of the goals scored by Claudio Caniggia.